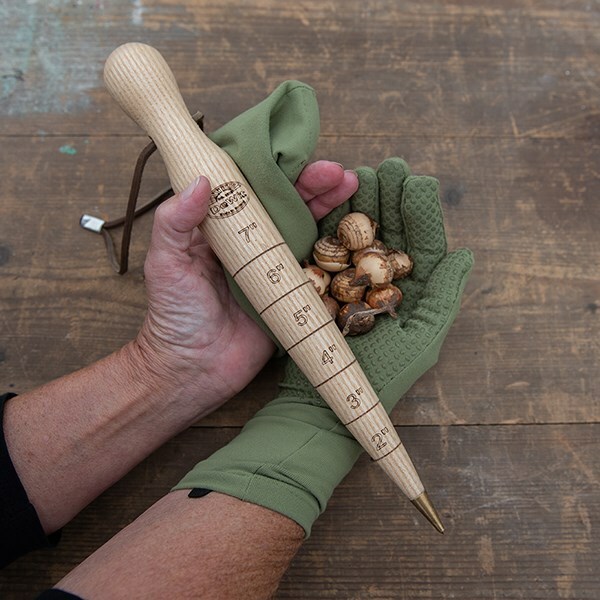 Buy De Wit brass tipped dibber: <ul><strong><li>Handmade from solid ash</li><li>Engraved depth marker - inches</li><li>Hanging cord for easy storage</li></strong></ul><br>This attractive traditional wooden dibber makes it quick and easy to plant bulbs, potatoes, large seeds and seedlings.<br><br>Handcrafted from solid ash, the brass tip makes it easy to push into soil and gives it extra toughness and durability. 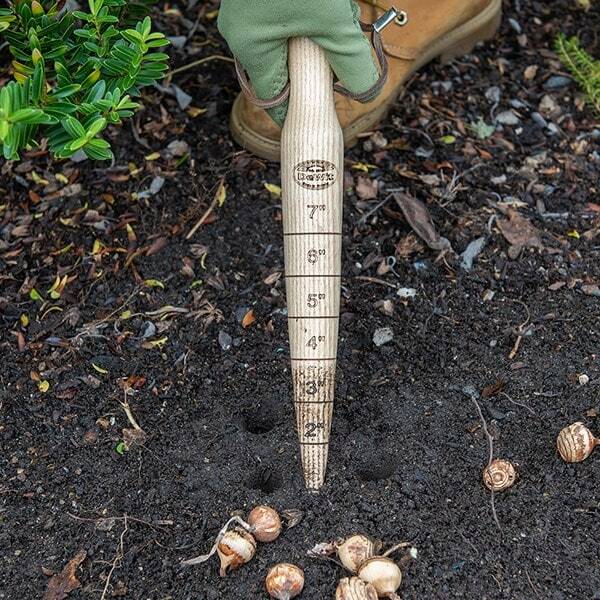 The side is engraved with inch markings for easy measurement of the right depth for your planting holes.<br><br>Best of all, a heavy-duty hanging cord lets you hang it up neatly so it won’t get lost in the shed!<br><br>Measurements:<br>L30cm (12”) x W4cm (1.5”)<br><br> <strong>About De Wit tools</strong><br><br>The Dutch are renowned for making the world’s finest garden tools, and De Wit is the most respected name of all. 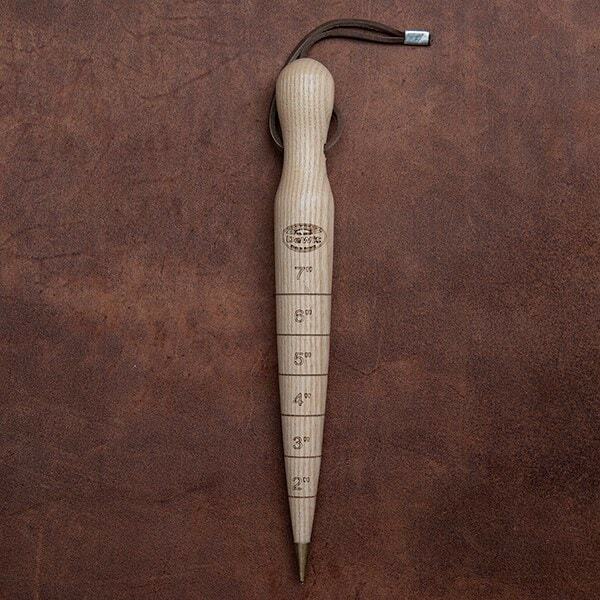 Founded in 1898, the family-owned toolmaker combines old-fashioned quality and craftsmanship with innovative design to create superior tools that last a lifetime.<br><br>All De Wit tools come with a lifetime guarantee against manufacturing defects, making them a truly once in a lifetime purchase.